I still remember the day in the primary school when I first learnt what this word Horizon means. I used to wonder where to have a glimpse of that scenic boundary where the Mother Earth met the space. A very fine line which different the territory of land which held everything and the air which held nothing at all. It was the Thanks Giving weekend when the US Offshore Counterparts had some handsome number of 4 days clubbed up as holidays in the last week of November. Everybody at the workplace was indeed planning the vacation spots as Goa, Daman, Diu and a few had plans to overseas as well. Mine was for sure being with my beloved machine but the destination was uncertain. 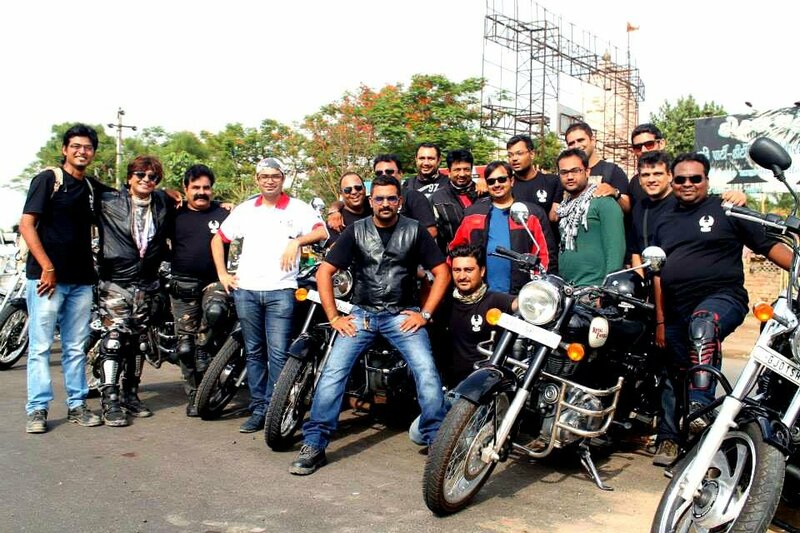 All this time I had a day or two day ride to either my home town from Vadodara to Udaipur or to the nearby places. Here I had 4 days and had to plan something big, so thought of taking some help of Google Maps and I zoomed in and there I saw the Great Rann of Kachch (GRK). 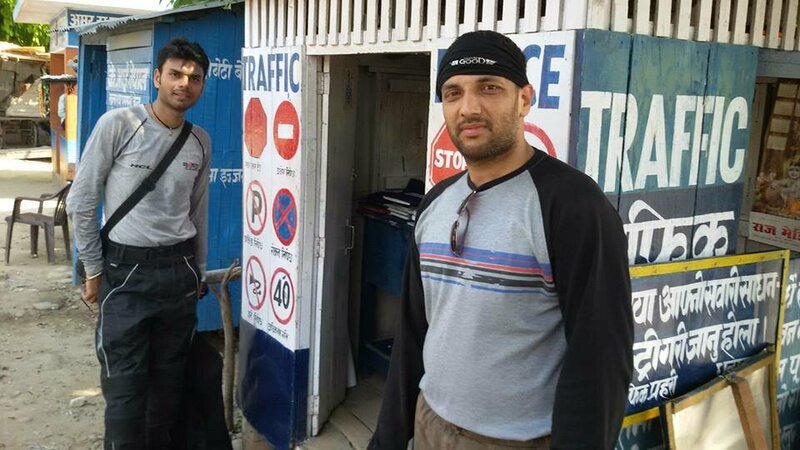 Did some research, talked to a few local guys who belonged to the nearby place of Kachch, checked with my regular fellow rider Suhail and Rakesh if they were interested for a road trip and they were just as excited as I was for the same. 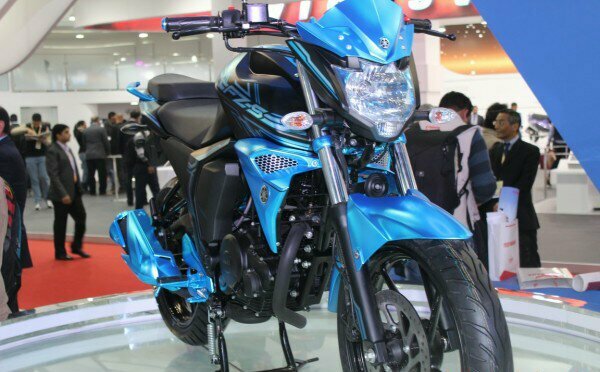 I was on my Bajaj Pulsar’s latest sibling which had really stirred up the motorcycling segment of Sports bikes in India. It is indeed a charismatic beauty when it comes to styling and performance. My companions were Rakesh as my pillion rider and Suhail on his Yamaha R15 as our Fellow rider for this vacation. We did our first stop for our breakfast at Anand which was 40 km from Vadodara. It was quite early to make a stop but I was more of worried for Rakesh, as I never had a pillion riding for such a long distance and he had no experience being a pillion too. The Great Rann of Kutch was indeed my dream ride. I wanted to cover the maximum in the 2 days of my stay in Bhuj. The city in the Kutch District, where many places to visit came to be in accessibility range. So my first day was planned to ride all the way from Vadodara to Bhuj, 440 kilometres. I had to start early in the morning after my night shift. A sleep deprived riding is definitely not advisable but I did not want to waste an hour from the vacation time I have got. So wrapping up the work by 5:00 AM IST, we assembled at a common place around 6:30 AM to head towards Ahmadabad via NH8 which was under construction. I had to go through a detailed homework as not many people that I have known have had took the route which we had planned. All that we have had heard was not so good reviews about the Road quality and tough terrain patches in the midst of a few places. I have not been a part of the Political Campaigning of Mr. Narendra Modi as the next Prime Minister of the country on those Social Websites but I must say this time that the State Highways of Gujarat were much better than a few of the National Highways or even the Expressways for that matter. The very first impression of Economic success in any state is the quality of roads and so far I had a bad impression specifically on any State Highways. The route we opted had diversion before Ahmadabad towards Viramgam which led to Bhuj. Until Ahmadabad, it was NH8 which was under construction for the expansion from 2 lanes to 4 lanes. This was indeed a tougher part of the trip as expected with all the diversion and borrowing a few inches from the fellow truck drivers to pass through them. Few drivers were just adamant enough to not to give way to bikes, especially a few Commuting Cars (they might just did not like when Bikes would overtake their cars). Had a few experiences of rash car drivers trying to scare with jerky steers towards our bikes to bring some panic in us. Such Drivers are really a threat on the Highways for others once they turn into the “Need For Speed” mode on the roads and treat their cars as Supercars from the Virtual world. Fortunately, none of us went into any bumping with any of the fellow travellers and it was a smooth ride towards Ahmadabad which was our first of the Pass Through point. A tea break was much needed once we were done with the mad race till Ahmadabad, where just after a kilometre we were surprised by the amazing tarmacs which never ended until we were about to reach Bhuj. The view was amazing, when we cruised ahead, lush green fields, barren lands, absolutely no contours at all. As the sun went above the head we started witnessing some mirage formation on the distant roads which was indeed picturesque. 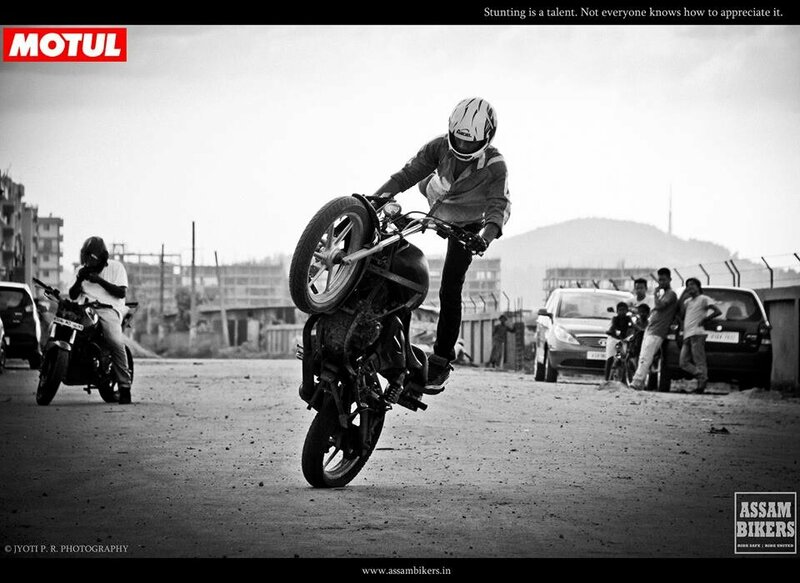 The passion of motorcycling and photography is really a bad combination for a rider which I had experienced. There were some landscapes with amazing beauty and I did picture a really nice click that could have been a part of memory stick of the Cam, but we had to stick to the schedule. So we kept riding on and on. A few kilometres before Bhuj, we met a daily commuter who was on his Splendor NXG, his side sling bag tightly wrapped around his shoulders, with a dark helmet on. This fellow had some real adrenaline kick when he crossed him, he just wanted to race. 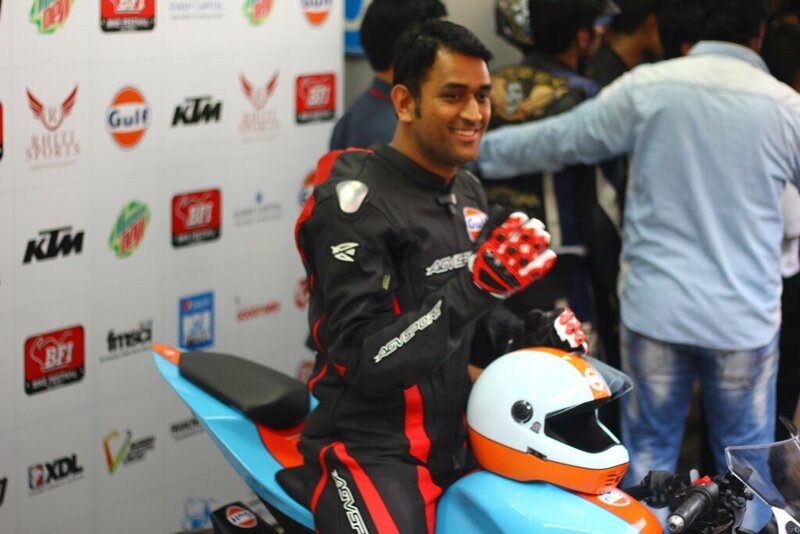 He would keep revving behind us when we were already at a speed of 80 kmph an average speed for a 23bhp motorcycle of mine. But this guy had some real balls to rev up at 100 kmph with his commuter bike which is not at all meant to speed like this. We initially tried let go this fellow but he was adamant for some action here on the lonely highway. Provoked me for a while, then Suhail who accepted his invitation and they both fled off straight. The NXG guy would get stuck at 100 for a few minutes and had to slow down after a while but Suhail kept going and slowed down for me to join. This game between that new biker friend kept going for a while until we decided to race up in order to keep this guy safe. Yes, we had to go beyond 120 so that he stays at a distance and the sun was setting down as well and we had to look for a place to check-in before it was dark. Kala Dungar, the name derived from the Black Soil around and also called as the Black Hill. It is the highest point of the District Bhuj, at 460 m, 97 kilometres from Bhuj and 28 kilometres approx from Khavada. The road lead to Khavada was another great piece of tarmac and was straight like an arrow. As one would approach towards one would see the glimpses of what is coming ahead, straight barren land with vegetation going all sparse. Few camels and group of women dressed in black carrying vessels of water on their head. A view which was so typically found in a dry and barren desert area. In about an hour of riding we reached the town of Khavada, the town was merely like a countryside market place only. Local men, dressed in Pathani Kurta, red beard and tobacco stained teeth, 6-7 foot long and broad structure. Not very Indian appearance they had, I wondered how the BSF guys tracked if any infiltration happened. The International borders were pretty close to the place and had a BSF check post on the top. There were few BSF soldiers in the market too where we stopped by for our breakfast and they were quite amazed to know about our long distance riding and exploring. They did help us out with the locations and suggestions for a few more places to visit. The ride towards to hill started going all hilly after we crossed a small village where kids were herding cattle and playing around with marbles. The view was quite amazing, steep and elevated roads, with sharp corners, the wait was over once we saw the Flag on the Temple of Lord Dattatreya. The Legend speaks about it as Lord Dattatreya that when he walked on the earth, he stopped at the Black Hills and found a band of starving jackals. Being a god, he offered them his body to eat and as they ate, his body continually regenerated itself. Because of this, for the last four centuries, the priests at the temple have been preparing cooked rice that is fed to the jackals after the evening aarti. We had reached the spot at 12 noon and there was no point waiting until the evening to experience the same thing so we decided to leave after clicking a few snaps. 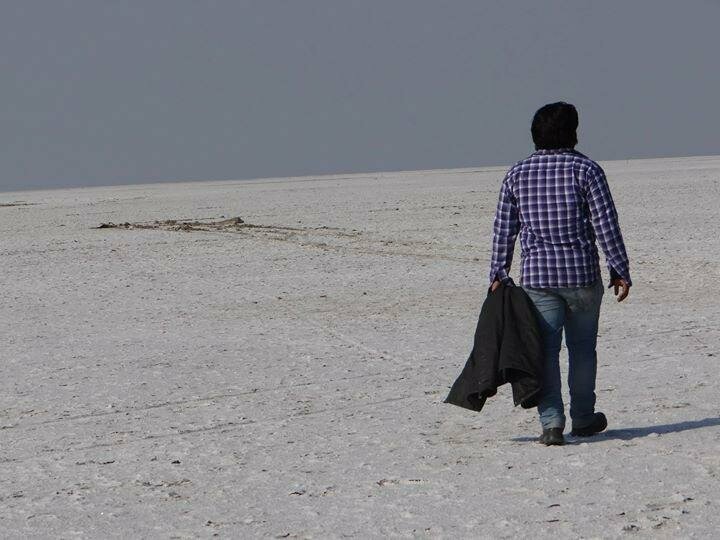 The 2nd destination we had planned was the famous White Desert of Kutch. It is a seasonal salt marsh land which looks beautiful in broad daylight, better at sun rise or sunset and the best on a Full Moon Night. We are off the schedule again; it was not a Full Moon anyways so no point again staying for the night too. The vast barren piece of land, absolute nothingness until your eyes can see was ahead in front of us. I would not have words to express the ravishing beauty of this crystal white piece of land which I could see in front of me. A straight line above which the color was blue and below it was all white. The Horizon – I have seen it now. Lakhpat, remains of the 18th Century civilization as a town surrounded by walls of the mighty Fort of Lakhpat. The name was derived from the popular sayings that the place was actually a trading post between Gujarat and Sindh which collected a Lakh coins per transaction. Hence, called Lakhpat. The road which led to Lakhpat started showing signs of a ghostly place as we saw nothing but boulders across both the sides of the road with dried up foot long grass. As and when there would be cattle herds being piloted by local men but there were hardly any living being as and when the milestone show a few kilometers to Lakhpat. We saw long chimneys of a factory which looked deserted from the distance. Towards the left was the Fort, we were surprised by the loneliness of the place. It is indeed in the list of tourist places when you pick up the local tourism journals but there were absolutely no single person in and around that place. The walls were big and cracked at a few places but stood guarded the inside Ghostly Town. It was significantly a ghostly town; the moment we entered the huge gate leading the insides of the fort, all that we could see was ruins of houses. Some house had their roofs fallen down partially with grass and weeds growing on its walls. I did jump on to the pillion seat to click some snaps now and give up riding, well that was one time I did not want to miss any good shot. The street was giving an impression of bleak emptiness, and the instance which really made me feel weird about the place was that a kid standing there at a far corner of the street who was staring at us. I tried focusing the lens but he ran away the next moment I adjusted the focus. I asked Suhail to chase him down but he was seen nowhere. We saw a few vessels at the corner with an underground pipe filling water drop by drop. 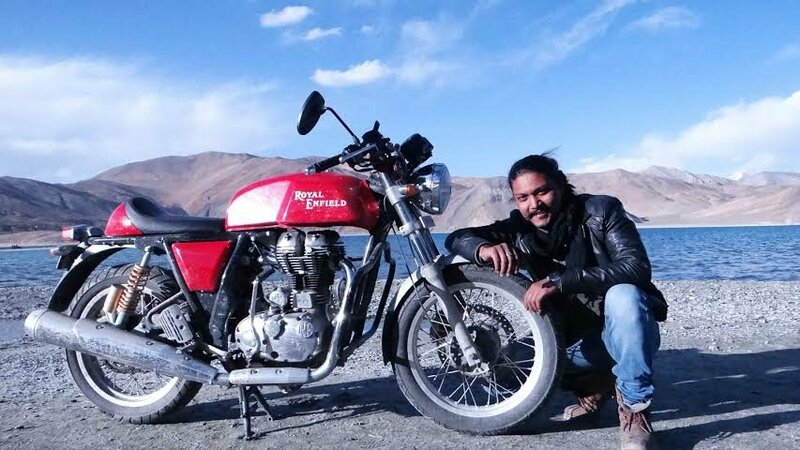 Then we heard the thumping sound of a Royal Enfield and after following the sound all that I could find was a small glimpse of 2 men riding a Bullet and disappear in the streets. We searched for a while and came to the populated part of the town where we asked for the BSF Check post there where at least we can talk, the local lingo was tough to understand but managed somehow and the message was conveyed. The tower where the BSF guards overlooked the border area was a good place to see the extreme vast land which shared the International borders with our neighbor. The soldiers were very welcoming, offered water and had a chat for a while, discussing their routines, etc. One of them suggested visiting the Gurudwara, a place where it is believed Guru Nanak has stayed while on his way to Mecca and even today his footwear and palkhi is there and worshipped. We had our prayers done and were sitting for the relishing Langar of daal, roti and kheer. We had it to our full, did not feel like leaving the place but we had to be on schedule to reach back to Bhuj before it gets dark. So it was the last day of a memorable exploration of our Road Trip. Definitely looking forward to explore more of such fabulous places…we rode to explore…reaching there was never the motto. Previous Delhi to Nepal in 24 hours! Next World’s First RE Continental GT scales all Heights!